Tucked away in a beautiful serene corner away from the hustle and bustle of city life, under the shade of trees is the entrance to the enriching Crafts Museum Delhi. There is something charismatic about the place that calls out to you and draws you in. 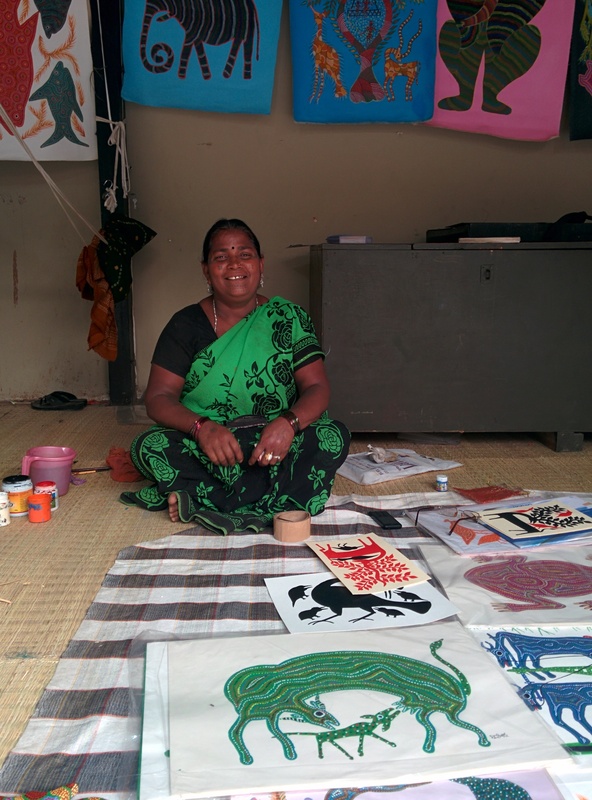 There are many craft fairs and of course there is ‘dilli-haat’! However, there is something calming and a feeling of ‘being one with yourself’ that makes this place different. How often do we meet the security personnel at the entrance greeting you with a pleasant smile? Not that often, right? Constructed in 1956, the Crafts Museum Delhi was designed beautifully by the famous architect Charles Correa to resemble a typical Indian village. 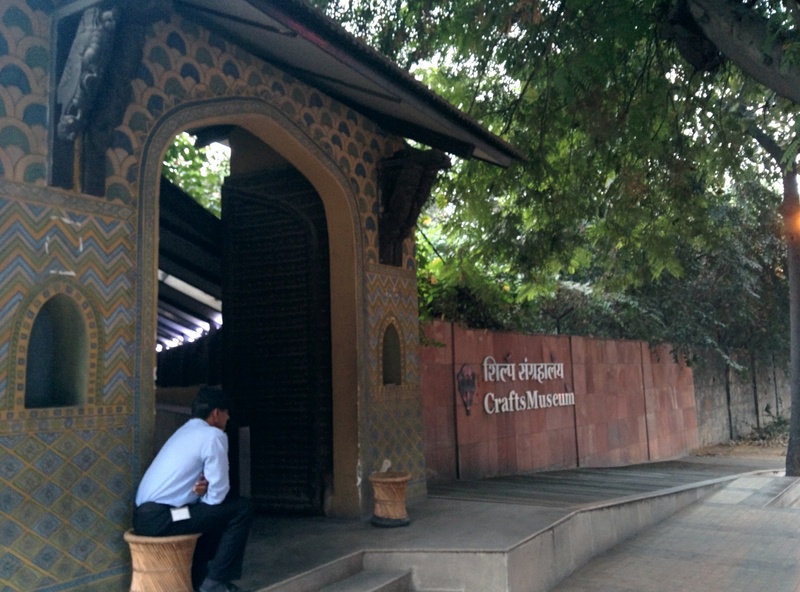 What makes the Crafts Museum Delhi different from others? Celebration of living craft traditions taking shape in front of your eyes by unassuming craftsmen and women (who also have several national awards up their sleeves). The place gives you an opportunity to talk to them, listen to their stories and what inspires them to create magical artifacts. For me, it’s their simplicity that makes their craft more alluring. Climb down a short flight of steps to view a spectacular terracotta installation of ‘Shiv-Parvati’ surrounded by the ‘ganas’, horses and elephants. On a pleasant autumn afternoon, the peace and serenity is interrupted by the occasional chirping of birds and rustling of leaves as I move on to treat my eyes, yet again to the magic created by Indian craft. 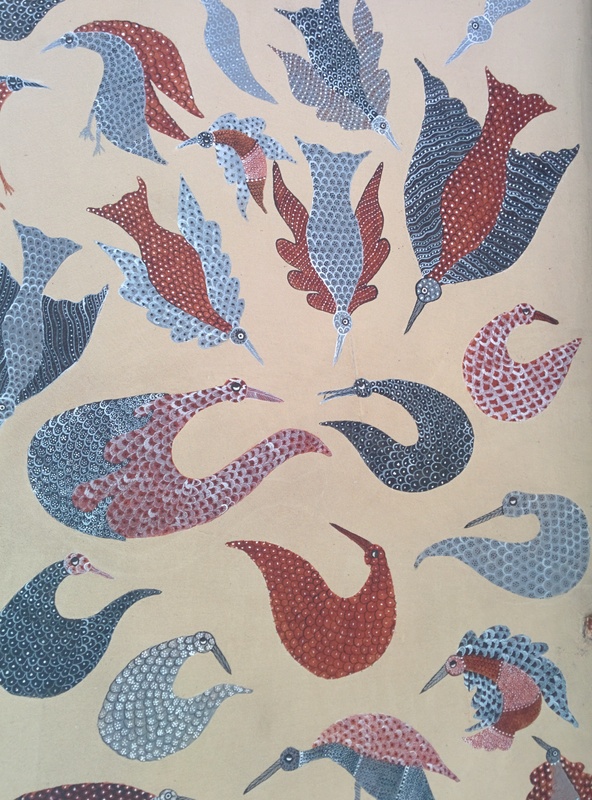 Mithila paintings, Gond Art, Bhil Art, Patachitra paintings adorn the white-washed walls with aplomb. There is a lot to soak in – architecture, hand painting on walls, installations before you even go inside the museum! The serenity and ease of the place made an instant connection with me. I was fortunate to meet and talk to some artisans mostly seated on the floor and busy creating new pieces of art or talking to visitors. 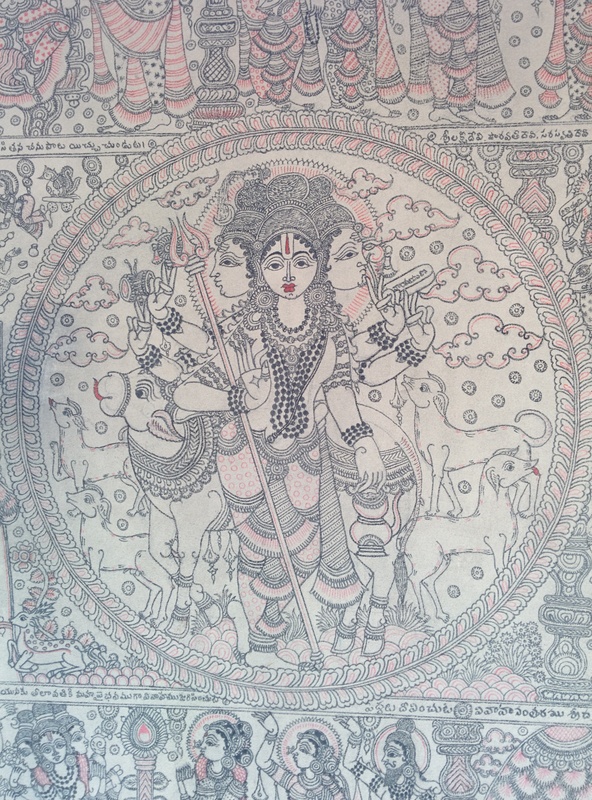 Bhuri Bai of Pitol (recipient of the highest award Shikhar Sanman (1986-1987) and the Ahalya Sanman in 1998 from the Government of Madhya Pradesh) and her son make paintings on paper and canvas primarily. 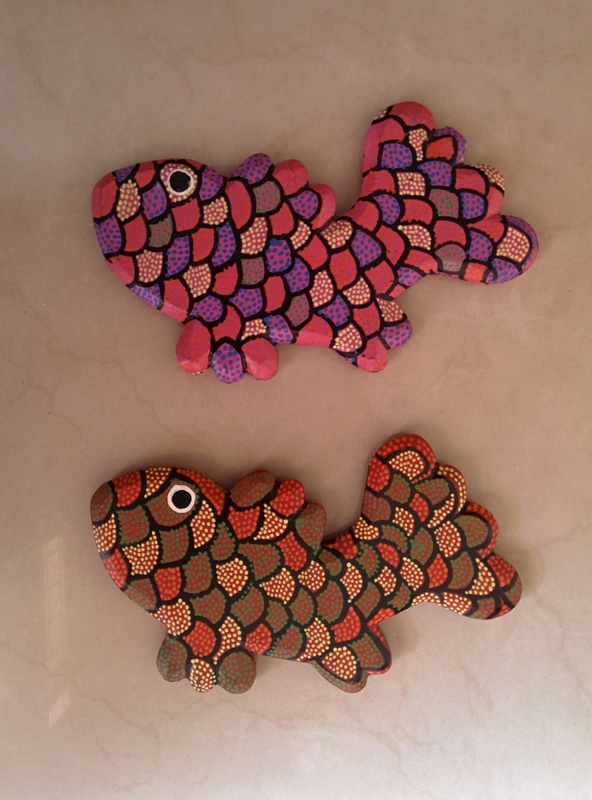 They also create products like trivets and 3 dimensional artefacts using their signature style of painting. Her inspiration comes from daily life, the flora and fauna and the customs and rituals of the Bhil Tribe. She explained the stories behind several of her paintings on display and how she started painting on paper at the insistence of Mr. J. Swaminathan, when she had never seen a proper brush before. Inspirational indeed! Ever wondered why the deer have trees growing from their antlers? Her paintings can be bought from several art galleries (India and overseas) and online. 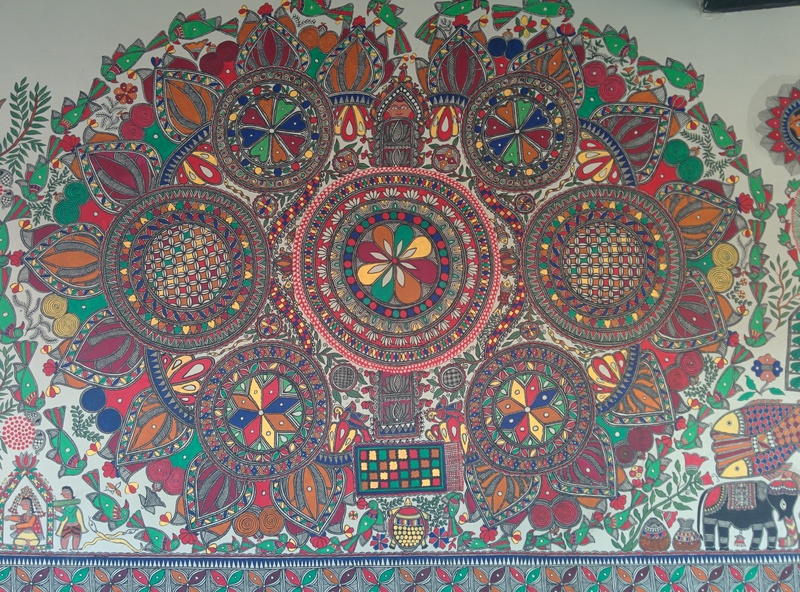 Delhi-based Must Arts Gallery, London based Artribal and quite a few others sell her artwork. Did you know Bhuri Bai’s painting “Story of a Jungle” was sold by Sotheby’s New York in 2007 for the benefit of the future Museum of Modern Art in Kolkata? Many more artists, and each one of them with their unique stories that inspire, encourage and prod you to do what you love, and love what you do. If you do this, can success be far behind? After a long afternoon that stretched to evening, I sat down at Cafe Lota, the Craft Museum’s famous picturesque, arty hangout. Chirping of birds as they were set to go home, chill in the air,classical music and the strings of the ‘tanpura’ in the background – just the place to sit and pen down my thoughts. 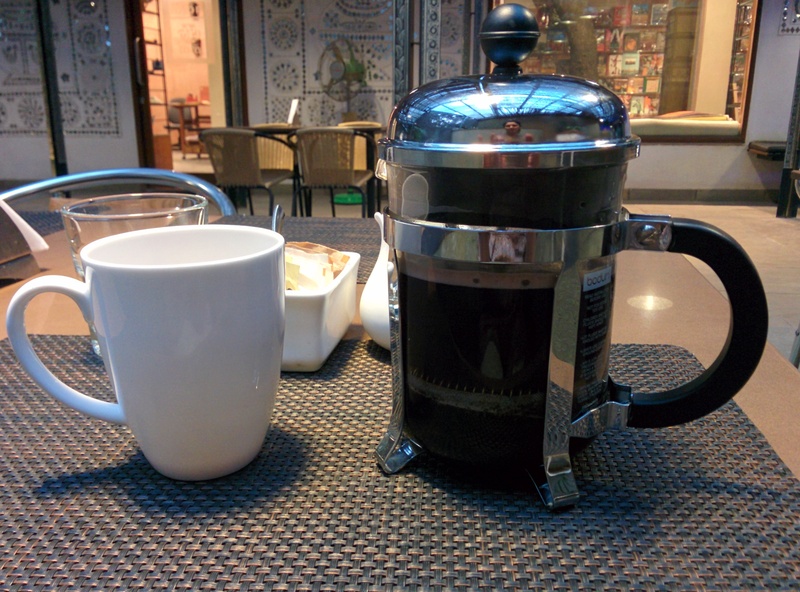 Pressed for time, I asked for a recommendation on Coffee and was I delighted with what I got! Yellikodige Coffee from Yellikodige Estate in the Aldur region of Chikmagalur, Karnataka. 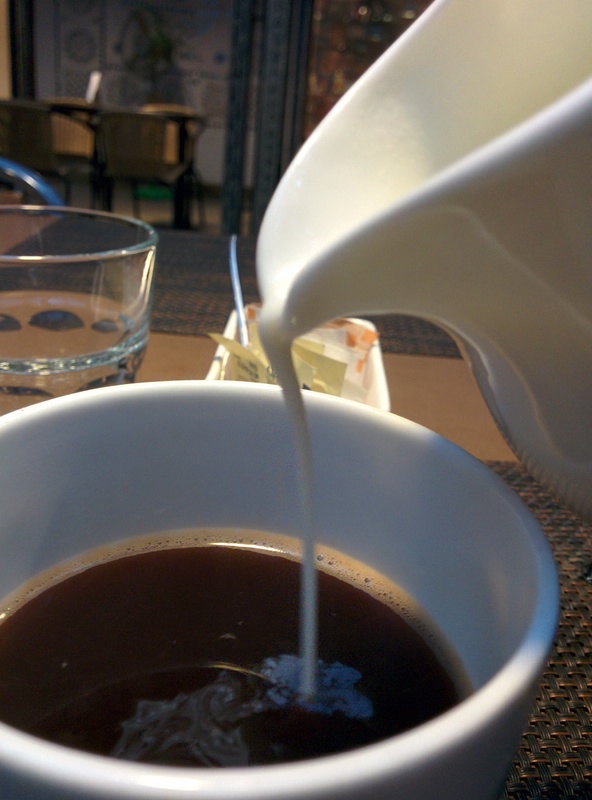 Smooth, classic coffee flavor with low acidity and a lingering sweetness – delightful indeed. If you’re a coffee lover like me, you could order Yellikodige coffee from Cuppalove or Blue Tokai Coffee. On this lovely note, go grab a cup of coffee, sit back for a bit and take time out to connect with yourself for 5 minutes amidst the hustle and bustle of life.